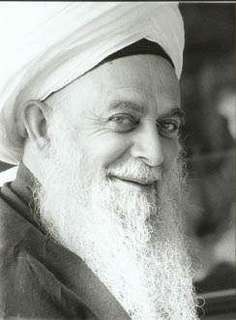 Maulana Sayyidi Shaykh Muhammad Nazim Al-Haqqani (qs), is the fortieth GrandShaykh of the Naqshbandi Haqqani Tariqat Order, the only tariqat order that descends from Sayyidina Abu Bakr Siddiq (ra), the Prophet’s closest companion – all other tariqats having descended from Sayyidina Ali (Karamallahu wajhu). He is a direct descendent of Rasulullah (saw), he is both Hassani and Husayni, and he is also a descendent of Shaykh Abdul Qadir Jilani (qs) from his father’s side and from Maulana Jalaluddin Rumi (qs) from his mother’s side. Born on the 21st of April 1922, he is more than 90 years old, and has spent his entire life preaching true Islam, portraying it as it should be and really is – a journey of Love. Maulana Shaykh Nazim teaches daily, please go to www.Saltanat.org to attend these illuminating lessons. There are no charges to attend these lessons, they are completely free-of-charge.